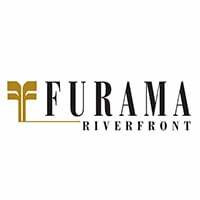 For a well-appointed accommodation that offers not only retreat but an excellent springboard from which to explore Singapore, step into Furama RiverFront, Singapore. The business hotel in Singapore provides a gateway to the Central Business District, cultural Chinatown, heritage Tiong Bahru, entertainment areas of Robertson, Clark and Boat Quays as well as the premier shopping district, Orchard Road. From generously-sized well-appointed rooms overlooking either the Singapore skyline, lush greenery or the swimming pool to the best of local and International dining in Singapore, travellers will feel welcomed at Furama RiverFront. Unwind and rejuvenate, as gracious service ensures guests are kept comfortable.